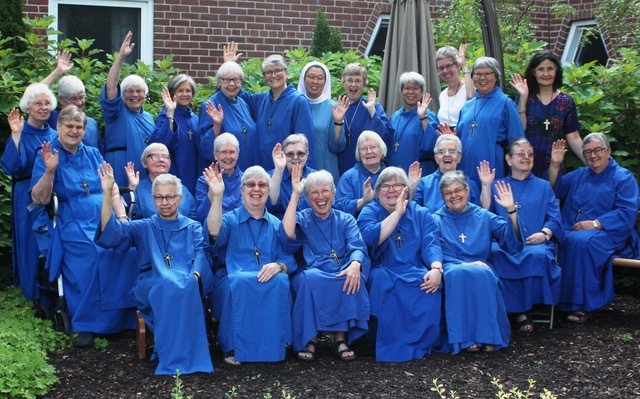 Sr. Anne was born in Ashbury Park, New Jersey, although her parents were from Montreal. Her father was an English Protestant organist and her mother a French-Canadian Catholic opera singer. The family moved to Allentown, Pennsylvania and later, with her sister, to Baltimore, where “I experienced school integration of blacks and whites in the ‘60’s. Moving to New Glasgow, Nova Scotia, however, racism was still apparent. Her parents began teaching children, most of whom were black, sowing seeds of Sr. Anne’s desire to teach music to disadvantaged children. Having taken up the violin at age nine, Sr. Anne studied at Dalhousie in Halifax and at various times since, has played with the Atlantic Symphony, the Canadian Chamber Orchestra in Banff and several Ontario symphonies. 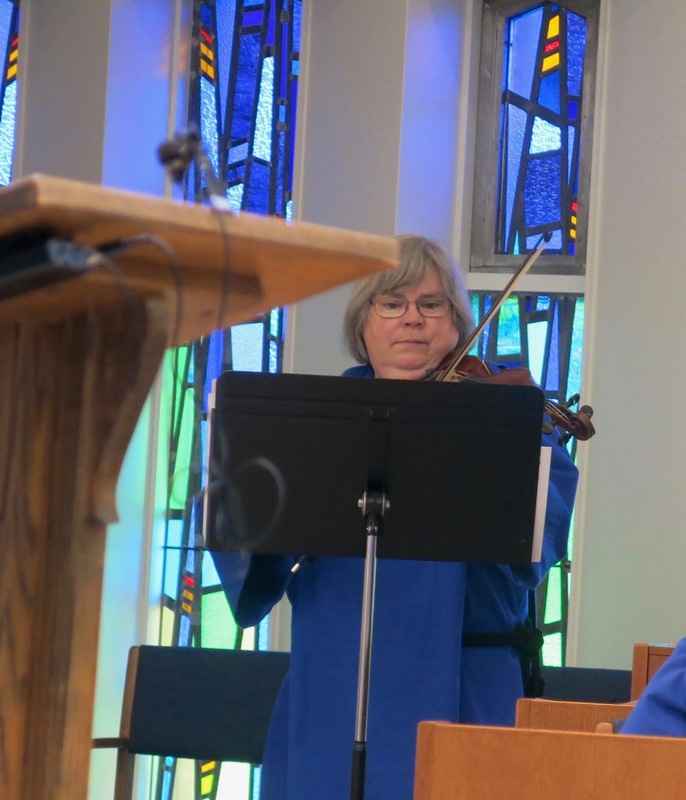 She started choir involvement at age six in her father’s choir and along with Sunday School, “the two golden threads of music and theology began weaving through my life”, yet not quite taking hold at the times when she was ready to grasp them firmly. Sr. Anne was raised a Lutheran as it was considered a compromise between her parents’ traditions. “I experienced a call but I didn’t know what it was” after graduating in Music. Waterloo Lutheran Seminary was followed by chaplaincy experiences, and then a priest said “maybe you should enter a religious community”. Her initial contact with the Convent prompted an inner voice, “I don’t think so, Lord”, and later on “maybe it might be possible”. Although Anglican-Lutheran dialogues were occurring then, Sr. Anne took steps to become an Anglican as “I sensed something’s going on. Then it became clear, so I entered on Holy Cross Day 1994 at age 42”. She has been involved in every department of the Sisterhood, including the branch houses. “A real highlight was having my Lutheran Bishop participate in my Life Profession as it occurred the same year as the signing of the Waterloo declaration”. Another highlight for her was the Order of the Holy Paraclete (OHP) exchange and being able to visit Iona.